On the 8th of January, news about boy group 24K's Instagram account being hacked broke out. All previous posts made by the group were deleted and replaced by a picture that reads 'shadowbeyz', the same name as tagged in the bio. 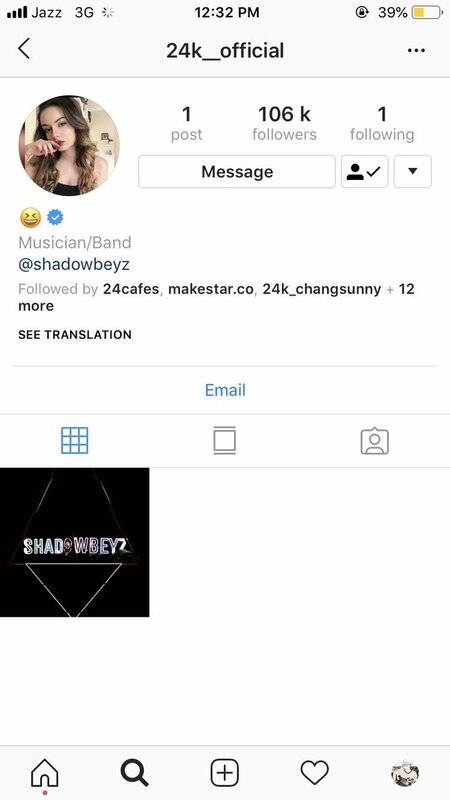 When visiting the shadowbeyz page, a private account pops up with the same picture as profile picture. The Instagram account is currently unavailable. their followers are decreasing fast.